The hotel consists of 217 rooms, 2 swimming-pools, night club, tennis, parking. All rooms with air-conditioning, phone, music, balcony and sea-view. 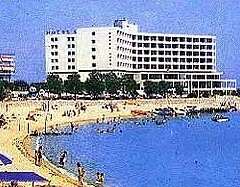 Lucy Hotel is located in the town of Kavala, next to the Kalamitsa beach and is open all year round.